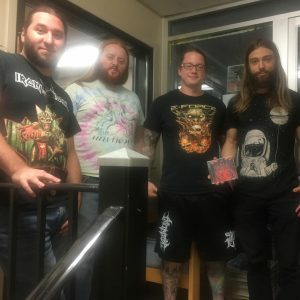 On this episode, Moncton’s Dischord stopped by to talk about their new album “Corruption of Innocence”, their new label PRC Music and some of the dark meanings behind their song titles. We also played the latest from Architects and threw back to some classic Slipknot and Black Sabbath. Tune in this weekend at 6pm when we talk to our former host Chris Waddell and Larry Hall about the upcoming benefit show in memory of the late Donnie Robichaud.